I did it! Yesterday afternoon, I finished my 43,000 word LAST MINUTE Christmas romance - Christmas Flirt, and uploaded it to Amazon. Since they are on holiday hours, it may not be available soon, BUT, this means you all get to read it FREE. Join my private Reader's Club on Facebook [https://www.facebook.com/groups/ClubRachelleAyala/] and all 18 chapters are available for you to read BEFORE Santa comes down the chimney. Lacy Reed has been a very naughty girl. What does Santa have in store for her? 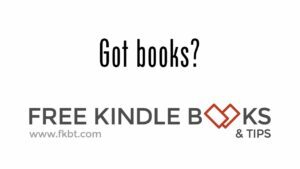 Join my Reader's Club and find out! Lacy Reed is the ultimate bad girl, and she doesn't care what anyone thinks--until her naked selfies show up on her boss's cell phone. Brandon Cole never smiles, ever. Not even when Lacy's indecent pictures appear on his phone. He's got an image and reputation to protect. Already a VP before age thirty, he doesn't need flirtatious and nosy Lacy to get close and discover his well hidden secret. When hackers break into their company's network, Lacy and Brandon walk into a trap where Brandon's past catches up with him. What will he risk to free himself in a gamble that Lacy's flirting has turned to love and grant him his secret Christmas wish? News Flash: They posted it! But you can still read free at my club.